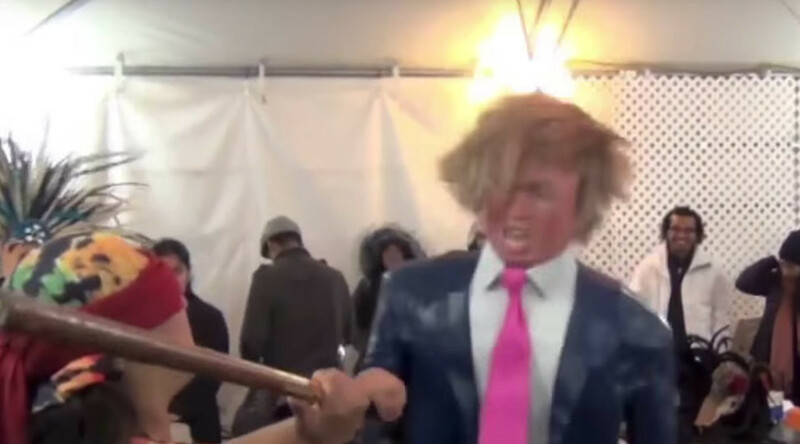 It wasn’t the first time Donald Trump faced a beating, but this time he literally lost his head. Or at least a piñata version of him did. To celebrate the opening of a new Mexican restaurant ‘El Diablito’ in Portland, Oregon, the owners hung a Donald Trump piñata for customers to smash, complete with wild hair, gaping mouth and middle finger raised. With volunteers aplenty, people can be heard using some choice words as they batter the life-size doll, with one child saying, "I want to kill him". "You're bringing hate and we don't want you as a president," another woman can be heard saying before she swings at the piñata. Earlier this year, a shop in the Mexican border city of Reynosa also began selling piñatas in the image of Donald Trump.